Those articles above will give you answers to the most frequent asked questions when it comes to planning a Cuba trip. I know that it seems like a lot, and that traveling to Cuba is soooo much more difficult compared to another Caribbean island. But, I promise, it is completely worth it and not that bad once you figure it all out. Anyyyywayyyy lets get to the guide! According to the WHO Cuba is "known the world over for its ability to train excellent doctors and nurses who can then go out to help other countries in need"
Getting to Cuba from the US has been made exponentially easier in the last couple of years. As of 2017 a ton of airlines fly to Cuba including: Alaska Airlines, American, Delta, Frontier, Jet Blue, Silver Airlines, Spirit, Southwest, Sun Country Airlines and United. Most flights originate from South Florida and New York and fly into Havana. You can also find flights from Philadelphia (Frontier), Chicago (Frontier), Charlotte (American), LA (Alaskan, United), Minneapolis (Sun Country), and Houston (United). HavanaAir also currently flies from Miami and Key West. Ferries: Four ferry operators currently from Key West to Havana. Fort Lauderdale, Miami and Orlando are still waiting on a green light for their own ferries. Important Tip: All forms of taxis don’t have a meter. No matter how far you are going always negotiate the price before you leave. 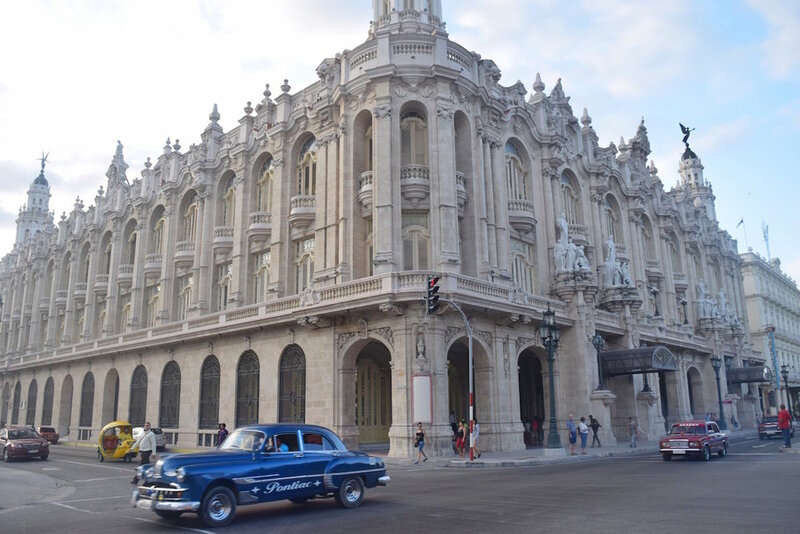 In my budget post, I went over the typical prices for all modes of transportation in Cuba. Vintage Cars: Obviously as a tourist the vintage American cars are (most likely) your favorite and preferred way to travel. Luckily they aren’t much more expensive than the normal taxis. In Cuba they are just another car! Cycle Taxis and small Coco Cars: First off, Coco Cars look like colorful tut tuts and both are another option for short distance travel. Taxi Colectivos or Shared taxis: These are a bit harder to navigate; they only run on certain routes. Think of them as small buses. If you manage to figure it out they are an extremely cheap way to get around (like $.50 a ride). But I agree, it is confusing. Private Cars: The most expensive way to get around but can also be more convenient. You can also negotiate with your driver to stop at other sightseeing opportunities along the way. Taxi Collectivos or Shared taxis: The same concept as the ones that run in the city, but except they connect towns. This service is much easier to figure out. We used one to get back from Vinales and it was cheap and efficient. Infotur kiosks and shops can help you find the pickup points and let you know what the exact prices are. City Bus: The cheapest option for travel but very packed and no air conditioning. They run in the city as well as city to city. Viazul Bus: A tourist bus that comes with A/C. Hallelujah! They run between multiple cities and cost around $4-5 per hour of journey. The routes will take longer to get to compared to a private car. For example: Havana to Varadero is about 2 hours by private car and about 3 and a half hours by Viazul bus. Should you stay in a hotel or a Casa Particular when in Cuba? That is the number one question I got when I arrived back in the US. Personally, I recommend the Casa Particular approach. We heard from many tourists that the hotels (even the supposed 5 star ones) were run down and not worth the money. Pricey but worth it. Their garden overlooks the Malecon and is perfect for watching the beautiful sunsets each day. In Central Havana. Right in the middle of Old Havana and a perfect location for taking in all the city sights. There are too many to list in this already long guide. You can find a more in-depth guide to restaurants here. 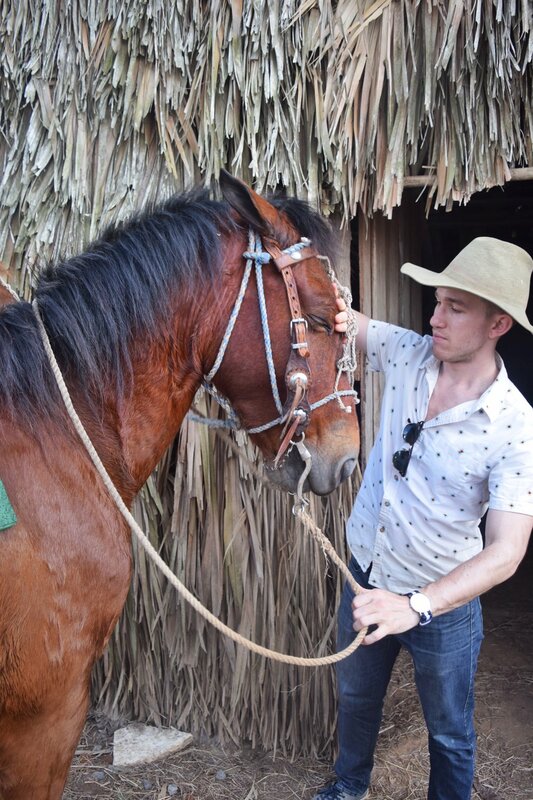 Only about 3 hours from Havana, Vinales is a gorgeous valley with a National Forest to explore via horseback or hiking. Plus, organic farms where you can see first hand the typical growing of tobacco. The town itself is beautiful to just wander through. Just 2 hours from Havana is a long stretch - 22 km long - of white sandy beaches and perfect green palm trees. It's a resort town but has surprisingly cheap food and drinks. When we went we did more than a day trip and stayed in a Casa Particular. A great spot for scuba diving (my full experience scuba diving in Cuba here). It is easy to take a day trip to the Bay of Pigs from Havana. Alternatively, there is a small town to stay overnight. I did not have the chance to go but have heard it is one of the most beautiful towns in all of Cuba. A UNESCO world heritage site. Another awesome city that I heard very good things about. WANT MORE CUBA TIPS AND INSPIRATION?